Egypt's new speaker of parliament: Old wine in a new bottle? The name and face of the Muslim Brotherhood leader, businessman Khairat El-Shater, has dominated the political sphere for weeks now, and for good reason. The multimillionaire has unrivaled leverage within the organisation and its political arm, the Freedom and Justice Party, and enjoys enormous influence over the Brotherhood’s Guidance Bureau and Shura Council, the two highest bodies within the group. But what has really gripped the attention of pundits and the media have been the slew of leaks from the Brotherhood that El-Shater may be the organisations' candidate for president, despite earlier promises that it would not be fielding a nominee. The obsession is justified. At 62 it is El-Shater, and not the Supreme Guide Mohamed Badei, who really runs the Muslim Brotherhood. Ask anyone in the organisation why the leadership is at war with Abdel-Moneim Abul-Fotouh, one of the group’s most popular figures until he broke rank, announced his candidacy for the presidency and was immediately expelled, and the answer is El-Shater. Why did the Brotherhood punish Abul-Fotouh’s supporters within the organisation and expel those who joined his presidential campaign? Because of El-Shater. Who has been the driving force behind the Brotherhood’s tactics and public discourse since Mubarak’s ouster? It is El-muhandis - the engineer - as El-Shater likes to be called. He was, after all, once an assistant professor at El-Mansoura University’s Faculty of Engineering. Today El-Shater is at the centre of the Brotherhood’s as yet unresolved, will they, won’t they field a presidential candidate saga, and has been instrumental in pressing for a vote of no confidence in the Kamal El-Ganzouri cabinet against the military council’s wishes. It is also likely, though not certain, that El-Shater is behind the Islamist monopoly of the 100-member assembly elected by parliament to draft a new constitution. The Brotherhood’s Shura Council, the 100 plus elected body that purports to set the group’s strategies and resolve any outstanding issues, met for eight hours on 27 March yet failed to reach a decision on fielding a presidential candidate. It is scheduled to meet again next Tuesday to address itself to the same issue. Insiders, though, know it’s not the Shura Council that will ultimately take the decision, but El-Shater. 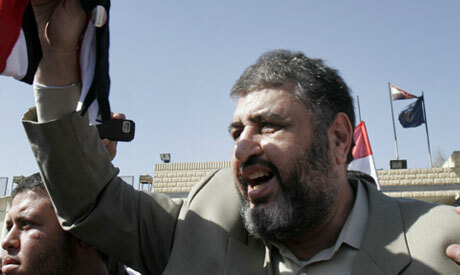 El-Shater has emerged as the Brotherhood’s most powerful figure since the Nasser regime’s 1954 crack down on the group. But how? Nasser’s mass-arrests, execution of its leaders and life-time jail sentences, almost broke the organisation. By the time its surviving leaders were released from prison by Sadat in the early 1970’s, the Brotherhood was weak and lacking structure. The entry into the Brotherhood of young and vibrant leaders of the Gamaa Islamiya (Islamic Group), including iconic student union figure Abul-Fotouh, energised the group, and by the early 1980’s, in the wake of Sadat’s assassination, Mustafa Mashour, the Brotherhood’s deputy supreme guide, was able to restructure the organization’s hierarchy along the lines that continue to prevail. Dubbed the Brotherhood’s “hawk”, Mashour, who was imprisoned for 20 years under Nasser, enjoyed “historical” legitimacy, having joined the group’s paramilitary wing in 1940. He solidified a system that favoured members known for their religiosity, knowledge of Islamic jurisprudence and commitment to their organisational group. The Gamaa Islamiya youth who joined the Brotherhood were soon at the forefront of the organization alongside historical leaders, whereas El-Shater didn’t appear on the scene before the 1980’s. At the age of 16 he was a committed member of Nasser’s Socialist Union’s youth wing in his hometown of El-Mansoura. According to novelist Mohamed El-Makhzangi who went to school with him, El-Shater was at a young age the head of one of the Socialist Union’s neighbourhoods, as their structural units were called. El-Makhzangi describes him as “sharp, polite, terribly neat and a good student”. He was “tall, thin and almost translucent because he was a tad fair”, an image difficult to square with the bearded, portly figure the public knows today as the Brotherhood’s strongman, someone who has spent 11 years in prison. El-Shater left El-Mansoura, where his father was a prosperous merchant, to study engineering at Alexandria University, which he joined during the height of the anti-Nasserist sentiments that followed the 1967 defeat. No longer a Nasserist, he participated in the 1968 student anti-regime demonstrations, was arrested and then served in the army for two years. He resumed his education and after obtaining a master’s degree took a teaching job at El-Mansoura University. El-Shater’s website says he was part of the Islamic movement in Egypt in 1967 and “was affiliated with” the Brotherhood in 1974, the same year as Abul-Fotouh and the Gamaa Islamiya leadership. But Ibrahim El-Zaafarany, a leader in the GI section at Alexandria University before joining the Brotherhood in the mid 1970’s, insists El-Shater’s involvement in the group dates to the 1980’s. Like many dissidents El-Shater left Egypt in 1981 before Sadat’s clampdown on the opposition. He reportedly lived in England for several years before resurfacing in Egypt as a Brotherhood member in the mid 1980’s. Although Mashour initially didn’t trust him with organisational responsibilities, El-Shater seems to have gained his confidence. He bonded with Brotherhood figures Mahmoud Ezzat and Mahmoud Ghozlan, both members of the Guidance Bureau. El-Shater then became in-laws with Ghozlan when the latter married his sister. The trio, as some insiders refer to Shater, Ezzat and Ghozlan, forms the heart of the Guidance Bureau. In 1995 El-Shater became head of the Brotherhood’s Greater Cairo sector, an administrative but important position that saw him overseeing organization and communication across a large area. In the Brotherhood’s structure Greater Cairo includes Giza, north, east, south and central Cairo. He quickly devised what a Brotherhood ex-member who requested anonymity describes as a “parallel” organisational structure to that laid out by Mashour, creating opportunities for talented members who don’t meet the ancien regime criteria of religiosity, historical legitimacy or knowledge of Islamic jurisprudence. By then El-Shater had built a personal fortune, some of it in partnership with Hassan Malek, a businessman from a Brotherhood family. The two formed a computer information systems company, Salsabeel, which Mubarak’s security apparatus raided in 1991. El-Shater’s interest in upgrading the performance of the group drove him to form a unit for administrative development, which provided training in time and strategic management. As his businesses flourished across diverse sectors - furniture, fabrics, tractors, car manufacturing, chemicals and management consultancy - El-Shater’s leverage in the group also grew. In the words of a young Brotherhood member who was close to him, the “engineer” had, over the years, formed an “organization within the organization”, gaining the loyality of many members by employing them in his various companies. His profile, which combines wealth with power never existed before in the Brotherhood’s history and as one insider put it: seems fitting the Gamal Mubarak era. Following the deaths of Supreme Guide Mashour (2002), and his successor Ma’moun El-Hodeibi (2004), both powerful leaders who exercised strict control, Mahdi Akef took over. According to El-Zafarani, Akef showed less interest in administrative and organizational matters and allowed El-Shater to assume greater responsibility, including control of the Brotherhood’s finances. It is no secret that El-Shater successfully invested the group’s funds. To avoid security monitoring he devised creative ways to expand his own wealth and that of the group, leading to ever greater overlap between his own business interests and the Brotherhood’s finances. When the Mubarak regime clamped down on the group in 2006, referring El-Shater, Malek and other leaders to a military court for money laundry, the Brotherhood’s financial situation wasn’t affected, though Shater and Malek received seven-year jail sentences. Either it was impossible to trace the group’s financial transactions, or the authorities simply didn’t want to go that far. Insiders say El-Shater was being “punished” for not keeping his part of an “understanding” reached with the security apparatus in 2005 ahead of the parliamentary elections. El-Shater is said to have promised to limit the number of candidates the Brotherhood was going to field, only to renege on his promise in the face of pressure from the organisation’s rank and file. El-Shater’s business empire continued to flourish even while he was in jail. A fellow prisoner says he used his money to get his way in Tora prison. He would send a “gift”, a refrigerator, say, to a State Security Intelligence officer in order to secure improved prison conditions. During his detention El-Shater was able to keep weekly appointments at Qasr El-Aini hospital where he went for regular checkups and to see business associates and other people who didn’t want to meet him in prison. It was very much business as usual for El-Shater from his prison cell, whether controlling his businesses or getting his way with the Brotherhood. In 2009 he even managed to have Abul-Fotouh voted off the Guidance Bureau. El-Shater was released last March, less than a month after Mubarak’s ouster. More than 200 delegates from around the world have flocked to meet him to discuss politics, investment and the future. He’s been roaming Asia and Gulf to talk about investment and finds the economic successes of Turkey, South Korea, Brazil, Singapore and Malaysia admirable. Al-Ahram Weekly has also learned that he’s been meeting with senior officials and ex-officials in the industrial and investment sectors, clearly to prepare for the Brotherhood’s near future role in the government. In two important TV appearances with his friend, Al-Jazeera anchor Ahmed Mansour, last October and in February, El-Shater denied any interest in becoming prime minister. Speaking in a slightly high-pitched voice, El-Shater claimed that Brotherhood has a “comprehensive” vision to rebuild Egypt and achieve its “renaissance” on the “basis of an Islamic frame of reference” but right now, the focus was on “the security vacuum and saving the economy”. Up front, or behind the scenes, it’s still unclear how El-Shater would run Egypt. I Can't condmed the guy...yet! ALL EGYPTIANS CAN DEFEAT DECTATOR SHIP IF THEY VOTE THE RIGHT WAY,PLEASE DO NOT SELL YOUR VOTE.IF MUSLIM BROTHER HOOD TOOK CONTROL OF LEGISLATIVE & EXCUTIVE OFFICE .ALL EGYPTIANS WILL LOSE THE POWER TO DO ANY THING BUT ANOTHER REVOLT. Why not focusing on egypt instead dedicating your life to an ideological group. Be it Socialism or Islamism. Why wasting your energy to an Ideology. Egypt would be a great role model for Arabs if it becomes successful on the economic front which will than followed by success in science and so forth. Why we are not a little bit chinese. So, here we have the head of the brotherhood, who, while in prison, would send "gifts" to people to get favors and a better service in prison, meaning the possible future president committed bribery? In nice to know that they are no different to anyone, regardless of what they preach, should such a religious icon, who many people follow, show such disregard for something that is considered "Haram" A big point to be made is while he is officially still serving a prison sentence, under Egyptian law, he cannot run for presidency, he was released on "health grounds" but the conviction still stands, so i don't see him sometime soon in the main job of power!